Hours after the Wimbledon committee revealed the singles’ draws, turmoil ripped through the men and women side demonstrating that no player is a shoe in for the championship. After losing his second exhibition match, Rafael Nadal, the top seed and reigning champion, withdrew due to knee tendonitis. That afternoon, female number one and top seed, Dinara Safina’s recovery after her meltdown in Paris was dealt a major setback. Safina was ousted in the semifinals by Tamarine Tanasugarn ranked 47th in a grass court warm-up tournament. Last year, Tanasurgan defeated Safina in the finals at this event. Now, fifth ranked Juan Martin Del Potro replaced Nadal at the top half of the draw. 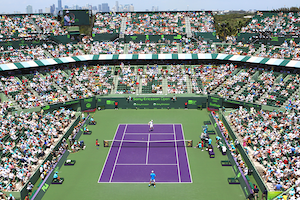 Although Del Potro has been improving rapidly, more seasoned grass players such as Radek Stepanek, Lleyton Hewitt or first round opponent Arnaud Clement could be an obstruction. In addition, Del Potro could face Wimbledon finalist Andy Roddick in the quarterfinals. 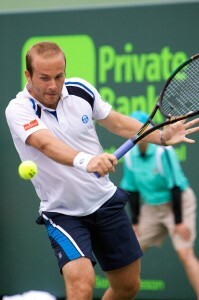 The extent of Roddick’s ankle injury will determine how much of a factor he will be. With a manageable draw, the prospect of Andy Murray becoming the first Brit since 1936 to raise the Wimbledon trophy looks promising. But, Murray may see Roddick or Del Potro in the semifinals. Despite Roger Federer’s multiple championships at the All England Club, with such a competitive field, other than experience, Federer has no distinct advantage. In the bottom section, Federer may need to go through the same stubborn rivals he battled in Paris to get to the quarterfinals. There, Federer could square off against Fernando Verdasco or Jo-Wilfried Tsonga, both hungry competitors. Similarly to Murray, Novak Djokovic, Federer’s potential match-up in the semifinals, appears to have an easy path on paper. Yet, Tommy Haas who beat Djokovic in the finals at Halle could represent a roadblock. Safina’s chance at redemption against Svetlana Kuznetsova may take place in the quarterfinals. Although with defending champion Venus Williams and Jelena Jankovic as possible semifinals opponents, Safina could be in the midst of a perpetuating nightmare. Venus’ performance the first couple of matches will determine whether she can prevail for a sixth time at Wimbledon. 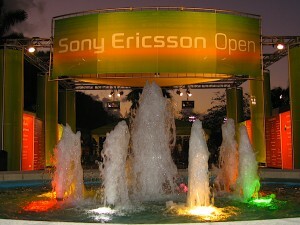 Serena Williams’ chance to avenge her Sony Ericsson lost to Victoria Azarenka could come in the quarters. However, Azarenka may need to knock off former Wimbledon champion Maria Sharapova in the round of 16 before getting to Serena. With Vera Zvonareva slowly getting back from injury and Elena Dementieva’s dismal play the last few months, for players such as Dominika Cibulkova, Aleksandra Wozniak or Alize Cornet, the door is wide open to reach at least the quarters. The Williams sisters will do double duty at a major again. Defending champion and seeded fourth, Venus and Serena will attempt to win their fourth Wimbledon doubles title. 2008 men’s doubles champion Daniel Nestor and Nenad Zimonjic, the second seed, will attempt to repeat and wrestle the number one spot away from Mike and Bob Bryan. Ambiguity reigns at Wimbledon this year. On both the female and male side, it is truly anybody’s trophy. First serve comes this Monday. For the second time, Serena Williams, world number two, unmercifully disposed of a Russian in the Australian Open final. On this occasion, the hapless victim of Williams’ wrath was third rank Dinara Safina. Serena required just 58 minutes to defeat Dinara 6-0, 6-3, adding a fourth Australian singles title to her majors’ trophy case for a total of ten. Williams started the match by hitting a backhand winner up the line and holding comfortably. On the other hand, Safina’s nightmare began with her first service game. After an ace for 15 all, Dinara threw in a double fault for 15-30. After a couple of forehand winners gave her the upper hand, Safina produced a second double fault for deuce. Subsequently, Williams crushed a forehand for a crosscourt service winner to get her first break point which she converted when Safina committed her third double fault. Then, Serena consolidated the break with a love game. Williams maintained the pressure and with a forehand winner up the line had double break point; she capitalized by putting away a short ball. Up 4-0, Serena again held at love and with four consecutive unforced errors by Dinara took the set 6-0. Serena briefly loosen her chokehold on the match in the second set. After Williams sent a backhand into the net and missed another down the line, Safina had her initial break point. With a sweet crosscourt backhand winner, Safina took the lead for the first time. The last few months, Dinara had demonstrated that she could deal with adversity. Thus, this seemed perhaps a turning point in the match. Yet, after Dinara missed the mark on two backhands, Serena arrived at double break point and leveled the set when another of her rival’s backhand sailed long. The serve was the story for Safina and it did not improve as the night progressed. Serving at 1-2, Dinara opened with a double fault. After a backhand crosscourt winner gave her game point, another found the net for deuce. Thereafter, Serena punished a crosscourt forehand return winner for break point and cashed it in when Dinara made another double fault. With a love game, Williams raced to a 4-1 lead. Frustrated, on the verge of bursting into tears and despite difficulties, Safina won her service games. Yet, this was to no avail as Serena continued to force the errors from her competitor with her brutal serves. With her fifth love game, Serena put Dinara out of her agony and claimed the title.